The units in this sale are being sold as open box condition. That means that they have been opened due to being a photo sample, a tested good customer return or having damaged packaging. Some non-essential items may be missing from the box. uced warranty. 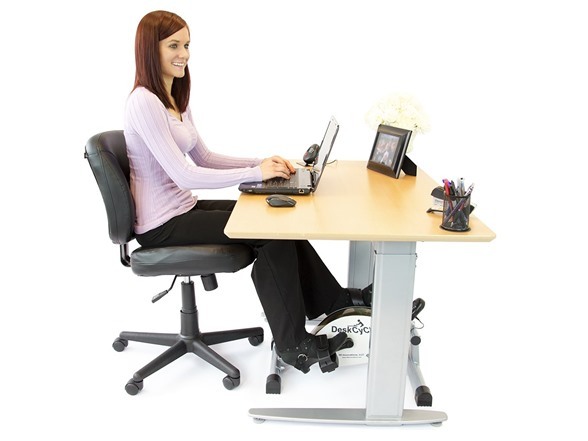 Get safe and effective exercise while working at your desk, watching TV or any other time when you're sitting and your legs are free. 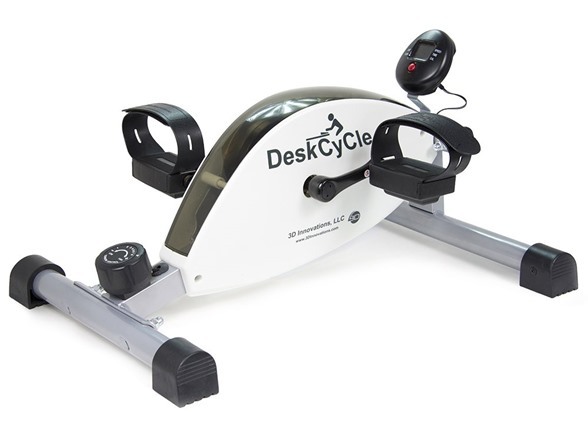 Pedaling the DeskCycle at one rotation per second on the lowest resistance setting doesn't feel like exercise at all. Yet this will increase your energy expenditure more than using a standing desk. 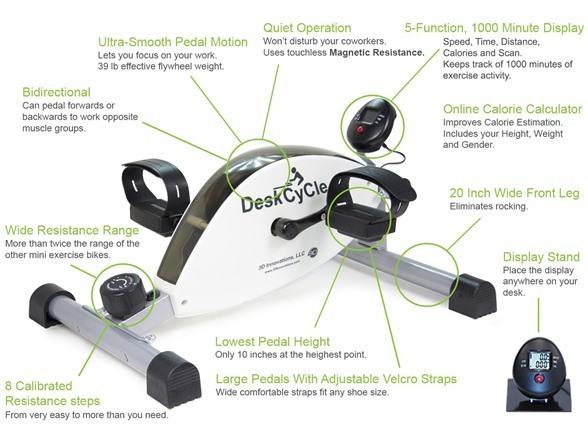 Magnetic resistance and a precision flywheel make pedaling the DeskCycle an unconscious activity so you can focus on your work or other things. It's also whisper quiet, which lets you to pedal away without distracting your coworkers. 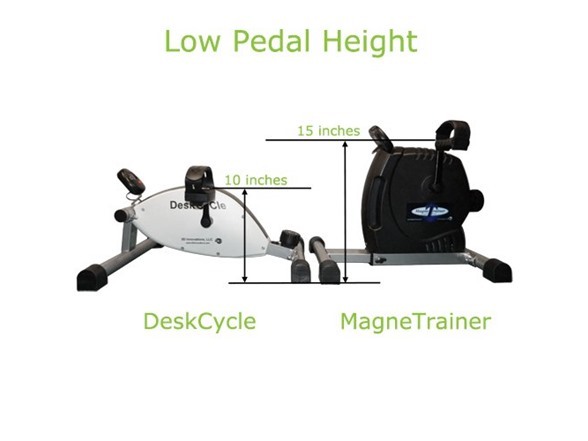 Because of the low pedal height, DeskCycles work at shorter desks than any other under desk bike. 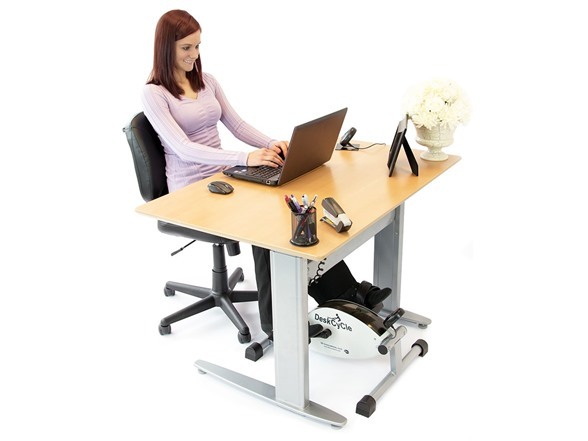 The DeskCycle can be used at a 27 inch desk by a person who is 5' 8" or shorter. 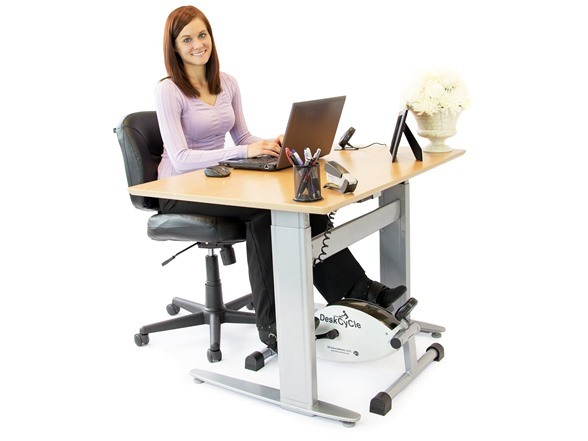 The DeskCycle-2 can be used at a 27 inch desk by a person who is 5' 10" or shorter.